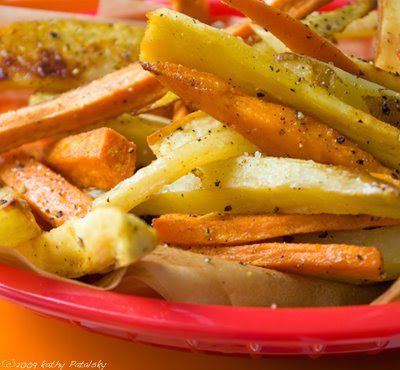 Savory Trio Boardwalk Fries: Yam. Yucca. White. 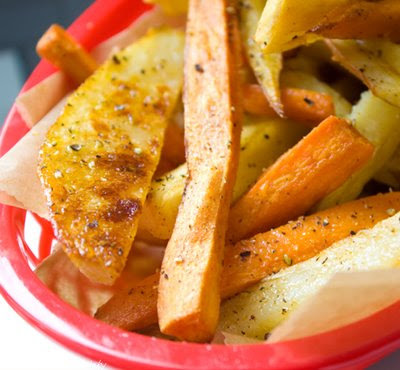 Yam, Yucca and White Potatoes. 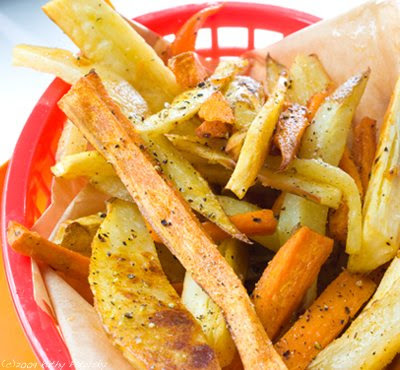 Though these fries have similar ingredients as traditional boardwalk fries: potatoes, salt and oil. The types of ingredients vary greatly and thus change the health and nutrition aspects of this summer snack. 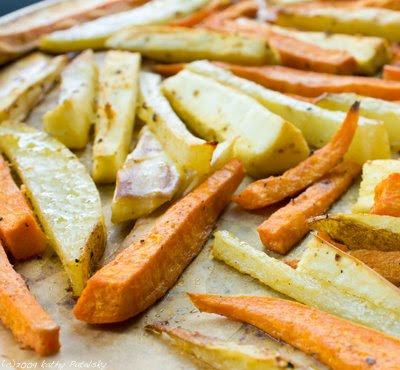 The trio of potatoes has higher fiber and more vitamin A and potassium than traditional all-white potato fries. The trio recipe uses olive oil and a baking method of cooking. 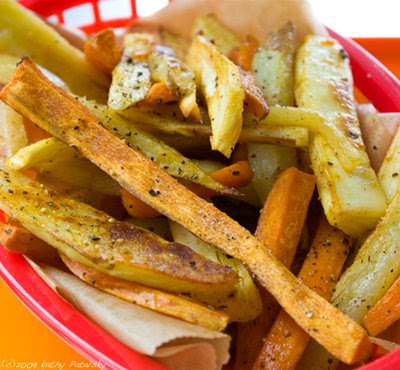 This is much healthier that a deep fry in vegetable oil. 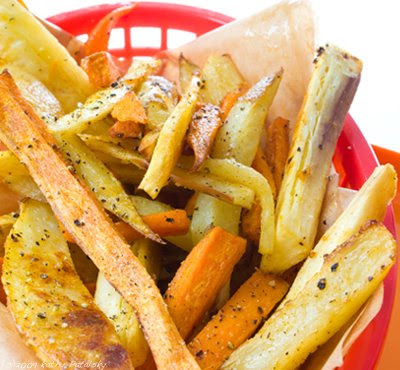 Give these fries a try, and you will never want to go back to those plain white fries. Be sure to peel off all the thick yucca outer layer. 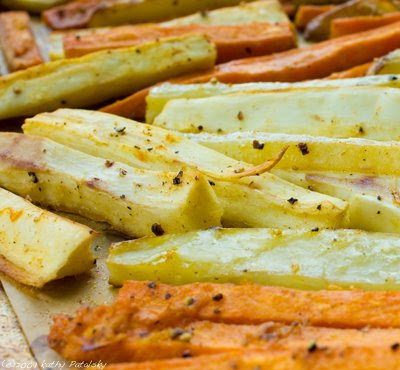 Be careful when slicing yam and yucca. Both have very hard flesh. A few skins left on white potato is good. More fiber and vitamins. Slice into spear shapes-long and thin. Place all cut potatoes and yucca in large bowl. Add spices, salt and pepper. Add olive oil and lemon. Toss well-coating each spear evenly. 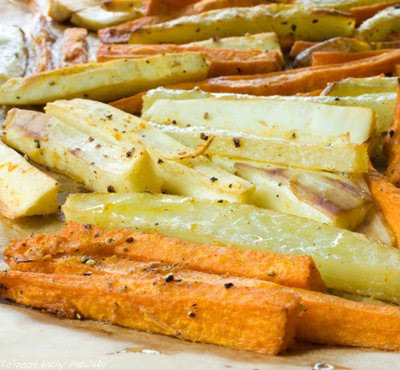 Place fries flat on parchment paper-on an aluminum baking sheet. Bake at 400 degrees for 40 minutes. Or until cooked through and browned. Then broil for an additional 5 minutes to crisp up fries. 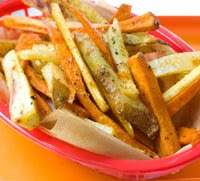 Serve hot with a fresh sprinkle of salt and pepper. 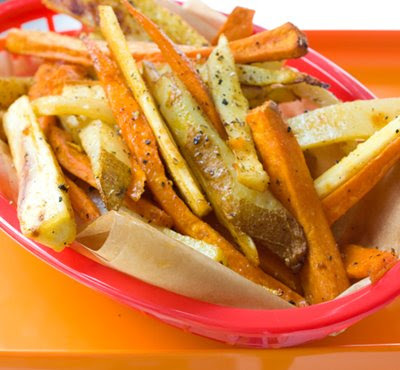 No ketchup needed, those sweet yams are all the sweet you need! Serve with some Frosted lemonade and you are in Boardwalk Bliss!